Photo taken October 2011. He is about 4 years old and should be able to mature into a true legend. 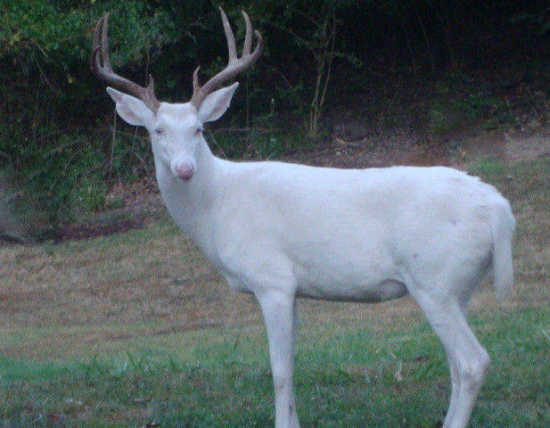 the Mayor of Cape Girardeau Mo and the Mo Dept of Conservation ought to make it illegal to kill any Albino deer within the City limits or Cape County,or State of Missouri.why can't rarities of nature like this be admired intead of killed.